Alkaline phosphatase is an enzyme in charge with removal of the phosphate group during the process known as dephosphorylation. This specific group is removed from different compound like nucleotides, proteins and alkaloids. The term alkaline refers to the environment necessary for proper functioning of the enzyme. Namely, alkaline phosphatase achieves the best results in alkaline environment (alkaline pH). The enzyme is normally found in all living tissues with largest amounts in the liver and bones. Small amount of alkaline phosphatase is also present in the bile duct, lining of the intestine and kidneys. The enzyme is also found in the placenta. In case of pregnancy, bone growth or even some medical condition the level of alkaline phosphatase is high. So, if one is tested and his/her level of alkaline phosphatase is high, there are additional tests and exams in order to determinate the underlying cause of this increase. In majority of cases increase in alkaline phosphatase is reported in patients suffering from liver and bone diseases. This enzyme is routinely evaluated and is a part of liver function tests. 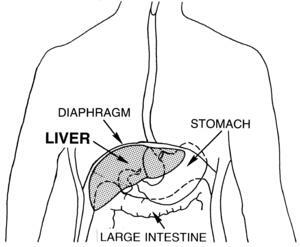 High alkaline phosphatase is generally associated liver dysfunction that may originate from different conditions such as hepatitis, liver cirrhosis, fatty liver, liver tumors, cholangitis, cholecystitis etc. Obstruction of the bile duct is another potential cause of elevated alkaline phosphatase level. Furthermore, the level of alkaline phosphatase rises in people suffering from different bone diseases like Paget's disease, osteosarcoma, bone metastases and bone fractures. It is also essential to mention that not every rise in the level of the enzyme is pathological. It may be also associated with normal physiological processes in the body such as growth and development. This phenomenon is, for instance, frequent among the growing children. As it has already been mentioned alkaline phosphatase is also found in the placenta. This explains why the level of the enzyme may be elevated during pregnancy and does not have to point to some medical issue. Finally, intake of certain medications (e.g. antibiotics), androgenic steroids, phenytoin, birth control pills and hormonal contraception may induce transient increase in the level of alkaline phosphatase. The level of the enzyme is easily measured after taking blood samples. If the increase is confirmed, the person undergoes additional tests which will reveal the underlying cause of excess of the enzyme. Only after the underlying cause is identified, treatment may start. With proper therapy, which may be conservative or surgical, the level of the enzyme is eventually brought under control. Can alkaline phosphatases be increased in prostate cancer? Increased phosphatases level-are we talking about liver cancer?